The Black History Month Story for Children . . .
One cold February evening, back when my children were in elementary school, I was looking through my son’s papers, pleased to see that his teacher had done a lesson for Black History Month. His worksheet included a simplistic story of the Civil Rights Movement that went something like this: A long, long time ago, White people in the South were mean to Black people, making them drink from separate water fountains and sit at the back of the bus. But one day, Rosa Parks decided she wasn’t going to sit in the back any more. Then Martin Luther King, Jr., gave a really good speech about his dream for America, and things have been getting better for Black people ever since. It was charming, in a way, in its attempt not simply to impart history but to help young children develop a sense of racial justice. But something wasn’t right. I mulled it over that evening while doing the things parents do: supervising homework, washing dishes, enforcing bedtimes, reading stories. Still, I couldn’t figure out what was bothering me. Over the next few days, it dawned on me that the problem was that I knew this story from somewhere else—from everywhere else. This little tale was no watered-down, over-simplified version just for kids. This was the story, the ubiquitous story, and for most people, the only story about race in America. It’s what we, as a nation, believe in our bones about race. 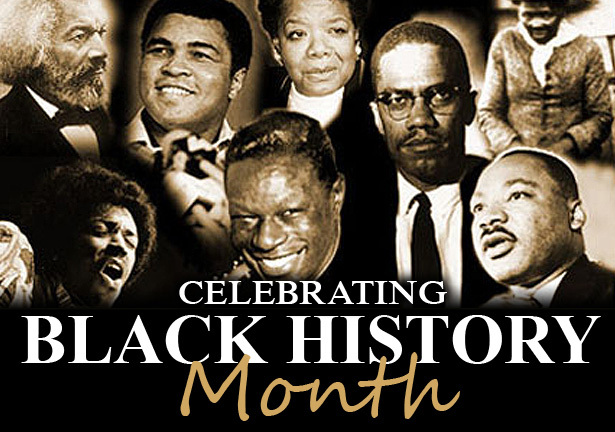 I call it The Black History Month Story because February is the time we recite it aloud. Mythical in its power to guide our thinking, it reminds us how far we’ve come; enables us to identify with those who fought amazing, culture-changing battles for civil rights; and allows us to feel good about ourselves as people on the right side of history. But the fact that it can be used, just as it is, in an elementary school classroom is a sign that it is seriously underdeveloped. Like any decent myth, it is rooted in a truth that helps us make sense of a complicated world and encourages us to be better people. Simultaneously, however, it limits our attention, making it difficult to notice the many, many things it does not address: The true horrors of slavery. The systemic violence–the terrorism–of a hundred years of Jim Crow. The national reach of racism, far beyond the borders of Dixie. On-going gaps in education, wealth, housing, and health-care. Residential segregation that is higher today than it was 50 years ago. Discrimination that no longer announces itself with “Whites only” signs, but continues nonetheless to channel some of us one way and others of us another. And, of course, the often-horrific treatment of other marginalized ethnic groups across most of a millennium. Along the way, we reduce Dr. King and many, many others to milquetoast versions of themselves, ignoring their prophetic call for social justice and pretending that they simply wanted us to play nice with each other while maintaining the social status quo. Dr. King fought for an end to segregation, and for the right to vote, but he also fought for economic justice and opposed many U.S. foreign policies, positions we no longer like to talk about. On April 4, 1968, the day Dr. King was assassinated in Memphis, he was in town to support a labor strike by garbage collectors who were fighting for higher wages. Very few White Americans supported Dr. King when he was alive, and if he were with us still, I doubt he would be any more popular today than he was back then. Our hearts are in the right place, most of the time, but our ability to do the right thing is impaired because there is too much we don’t know and too much we think we know that simply isn’t true. We don’t understand where we are because we don’t know how we got here. Many of you are tired—for all kinds of reasons—of talking about race. I understand. But the way to make race matter less in political and social discourse is to make race matter less in the everyday lives of everyday Americans. That’s why racial justice is the only way to racial progress. Race will matter in our national conversation as long as it matters in life. Pretending otherwise requires that we ignore the reality of life on the ground for many Americans. That’s not a strategy. It’s a sham. The Bottom Line: We are at a racial impasse in the U.S. because our conventional wisdom conceals more than it clarifies. Understanding the history we inherited will enable us do better in the future.